I have trained with some of the best behaviour change specialists, including Dr Ernest Rossi and Hollywood hypnotist Gil Boyne. At the Royal Devon and Exeter Hospital I worked with hundreds of inpatients as a Stop Smoking Specialist, helping hundreds to successfully quit smoking. Although nicotine replacement therapy (the patch etc) can be useful, I recognise the importance of the smoker’s own mind as the central resource to self-change. I use a dynamic range of approaches, techniques and fields of knowledge in my 1-to-1 and corporate stop smoking sessions. Knowing the right information, seeing things from different perspectives, encouraging motive, belief and confidence in quitting. And it can be enjoyable! So you know that its bad for you. Everyone’s told you to quit smoking. You know all the boring statistics. You even know some particularly scary ones, e.g. there are over 4000 chemicals in a cigarette, including arsenic, benzene, formaldehyde and cyanide. One in two smokers will die because of it. If you play the lottery, you don’t even want to know how the odds compare. If a jumbo jet fell from the sky killing all its passengers, you’d probably tune into the news and sympathise, right? Well 300 people die every single day in the UK alone from smoking. You suffer the financial cost of smoking, and you surely already know its harsh affects on the coronary arteries, lungs, body and even sleep. Yes it makes your hair smell, teeth yellow, and blah blah blah. Does it make a bit of difference to giving up smoking? Well yes. How? It could make you uncomfortable about smoking, because you really should know better, but so what? You probably just feel more awkward about not being able to stop! Being uncomfortable doesn’t make you stop smoking – it does the opposite! What’s will power anyway? 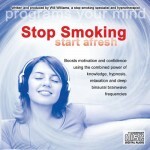 Stop Smoking Hypnosis is a different and powerful way to quit smoking for good. After helping and talking to so many clients and hospital patients about qutting smoking, a single reason has emerged as a great barrier to quitting. Are you ready? It’s just so damn boring. Thats right. In a culture of instant rewards and gratification, where is the pay-off for having to go without cigarettes? It takes time to feel all those benefits of improved health, it takes time to notice the saved money. And all the while, you are having to contend with self-doubt at being able to stick at it, cravings, rifts from smoking friends, maybe putting on weight etc. Many think it shows more self-control to just keep smoking, than to try to quit and risk not being able to. What an unhealthy paradox! Hypnosis and psychological intervention gives a powerful boost to your inner motivation. The nicotine in cigarettes mucks about with the neurochemicals in the reward centres of your brain – so when you started, you felt a false reward. By giving yourself false chemical rewards, you are actually rewarding yourself for being stressed and in need of a cigarette. So you are likely to end up putting yourself in those negative situations more often. Doesn’t that suddenly seem so obvious? Your brain very quickly learned to tolerate nicotine – so it eventually needs it just to stay neutral. And it will do all it can to get what it needs until you tackle it. Did you realise that most of the tetchy anxious withdrawal symptoms for smoking are similar for people with obsessive compulsive disorder who can’t achieve their compulsions? Addiction is a form of obsessive behaviour! The situation is made worse by the many emotional associations between smoking and many other things, such as friends, places, situations or feelings. Could you have a tea break without thinking of smoking? Because you have such a deep-rooted subconscious expectancy to smoke, its no wonder many people find it difficult to stop. This is why will power, like a diet, is mostly temporary, often painful, and prone to relapse. You are up against your own subconscious. Stop smoking hypnosis can be used to reassociate patterns in your favour. The mind has often been compared to an iceberg, with the subconscious being the four fifths floating below the surface. So is it any surprise that less than 20% of smokers are able to quit for longer than 2 years? 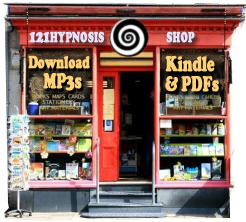 Hypnosis allows you to influence your own subconscious drives with far less effort and agony than will power alone. The payoff is immediate. You can feel empowered, confident, secure and in control when not smoking, more so than any benefits you imagine you get from smoking. After deep rooted stop smoking hypnosis change work, you won’t need to try, you will simply understand that you no longer smoke. How does that sound? Sure you could still choose to smoke if you felt like it, but you won’t need to, and thats the difference. And believe me – when you don’t need to – you wont want to! You can let go of all your cluttering thoughts and conflicts, and allow yourself to return to a natural, healthy and resourceful state. I would love to stop smoking. I’ve tried most things but I still do it when I have a drink. I’m not really sure from your website what your approach is and how much it costs ? A real hynotherapy specialist for smoking cessation ! I totaly like what is written here and the way you approach it. 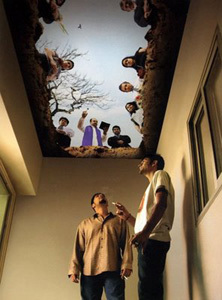 Stop smoking is really logical when you see it from an outside perspective. So smokers just have to get around the idea that their subcounscious just have a bad programmation bug, that need to be fixed : it is an improvement. Many reasons could make you want to stop cigarettes : health of course, but also freedom, pride, and your important values. You worth more than tobacco, really. 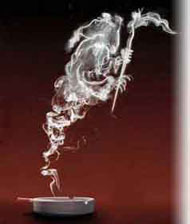 Do yourself a favor and stop smoking ; hypnosis is the most efficient method.